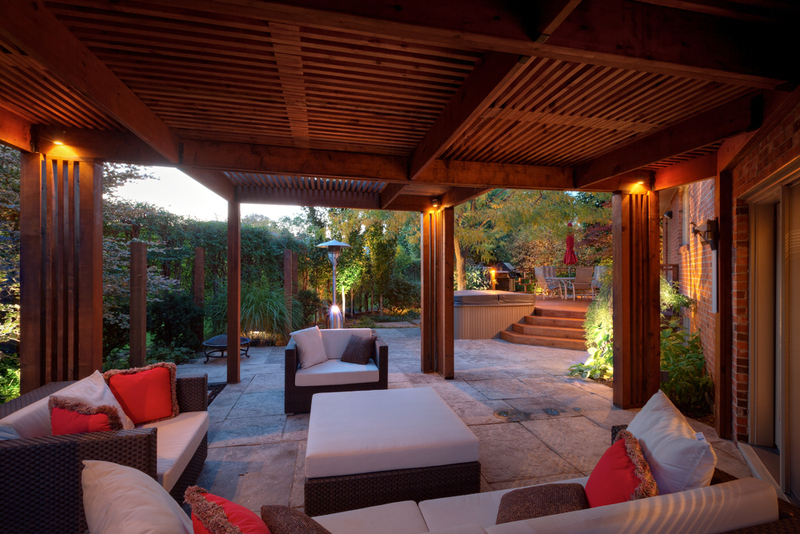 OUTDOOR AREAS CAN BE CREATED BY INTEGRATING THE USE OF OVERHEAD STRUCTURES, GIVING YOU A SENSE OF ENCLOSURE AND DEFINING OUTDOOR LIVING ROOMS AND SPACES. 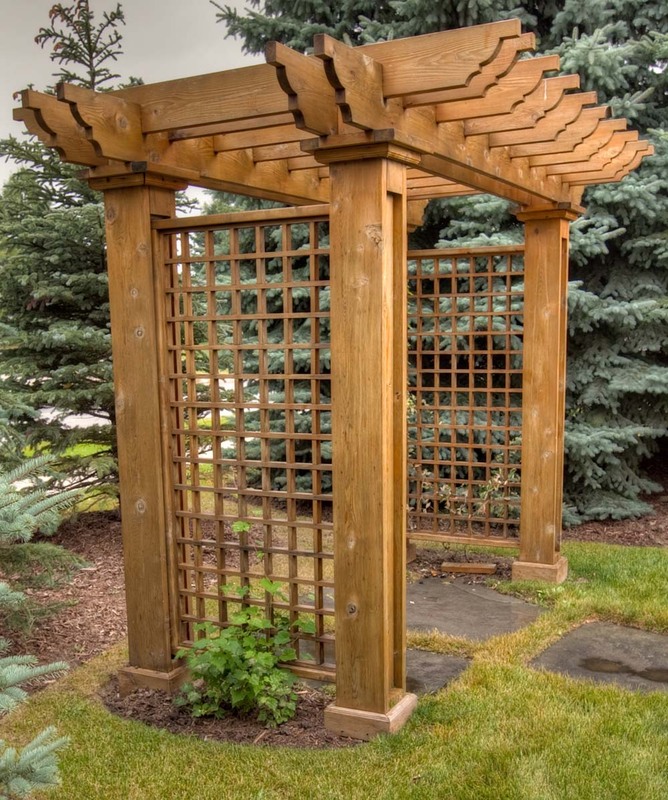 Arbours are primarily placed above a gate or walkway usually leading into the back yard. 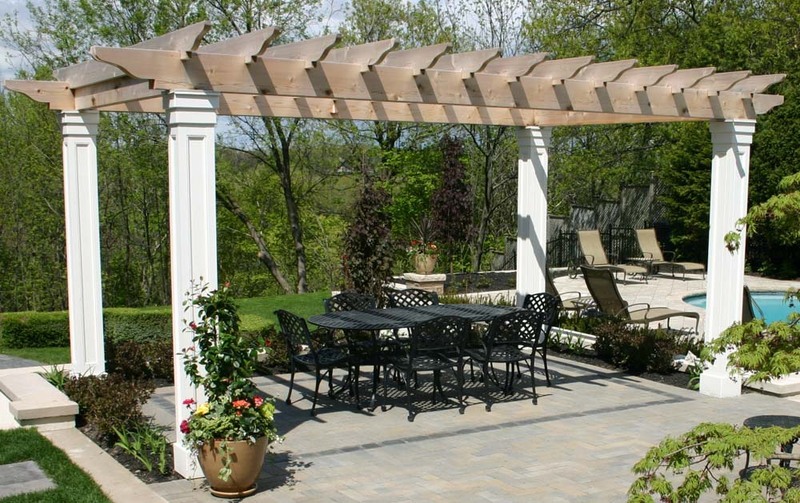 It will enhance an entrance and makes the passage through a side yard more inviting. 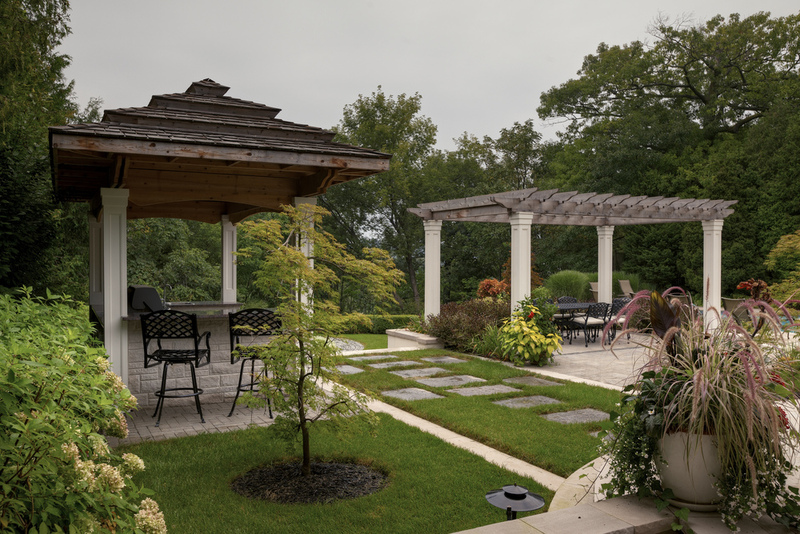 They can have an arched or flat top which enable vines to grow. 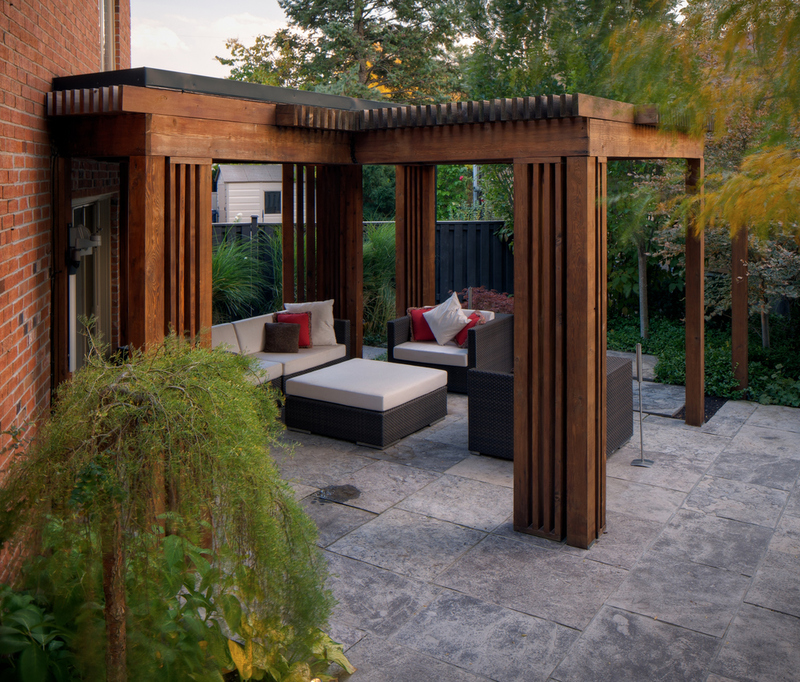 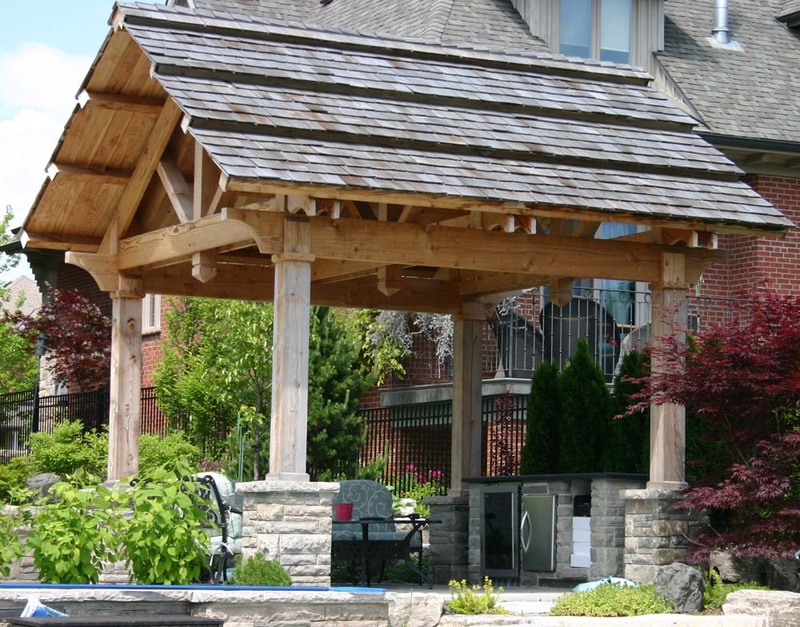 An Arbour is typically not large enough to cover a patio but when placed in a quiet, more secluded area of the yard with a bench underneath, it can become a focal point and a quiet sitting area destination.